Full Description: Step back into the past! Originally a Nurses Residence from 1908 to 1988 and one of Fernie's Premier heritage homes. Experience large Victorian decorated rooms, queen size beds w/private bathrooms. Located downtown and walking distance to restaurants, golf course and less than 5 kms from the ski hill. 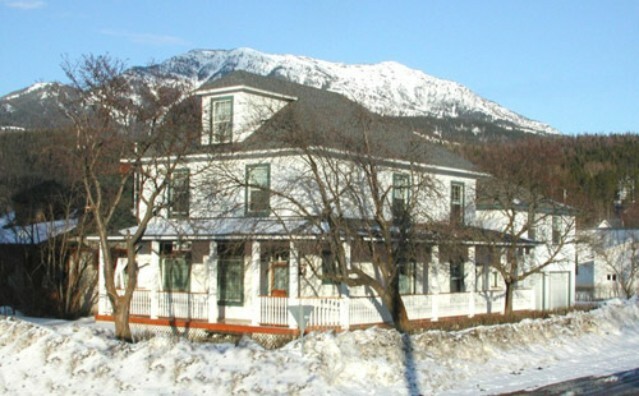 Bed and breakfast is central located in Downtown Fernie on the corner of 8th Steet & 4th Avenue. Our bed and breakfast theme is Step back into the past. Many antiques in the rooms are in excess of 100 years! if you arrive in Fernie from the East turn left on 8th Street. Go 3 blocks and you will see a large white house with a wrap around veranda. You have arrived at The Old Nurses Residence Bed and Breakfast. Welcome! This listing has been viewed 4890 times.